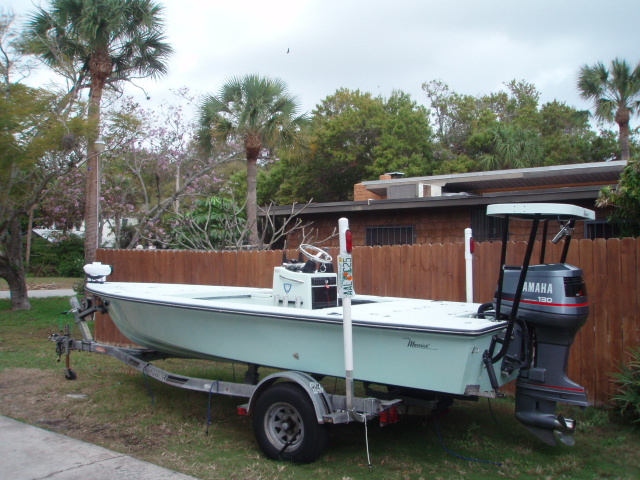 1993 18.5 Maverick Master Angler,130 Yamaha,excellant original condition,newer remote trolling motor,gps etc...,live in ft pierce,fl. 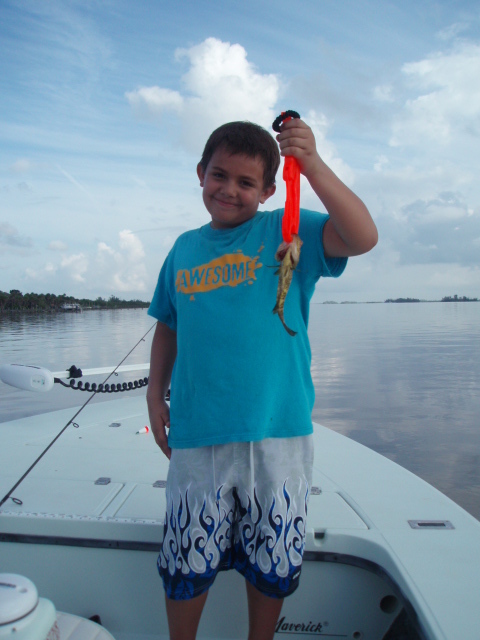 Fishing Indian River Lagoon on regular basis!! Thanks Skip she is a cl***ic,but what a great rideing and working boat,i hate to say i'm actually thinking about selling her. How fast does she move with a 130? That's a beautiful boat! 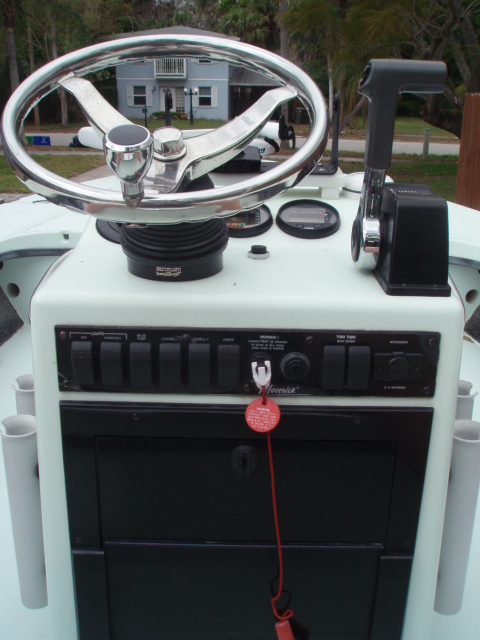 Is that a Seastar steering helm with the Teleflex angle mount? I'm about to use that same setup on my Hewes (that has the same console), and it looks like it sticks out further than I would like. It looks fine on yours, though. Do you have any closer pics of your helm? pics. Good luck with your boat. 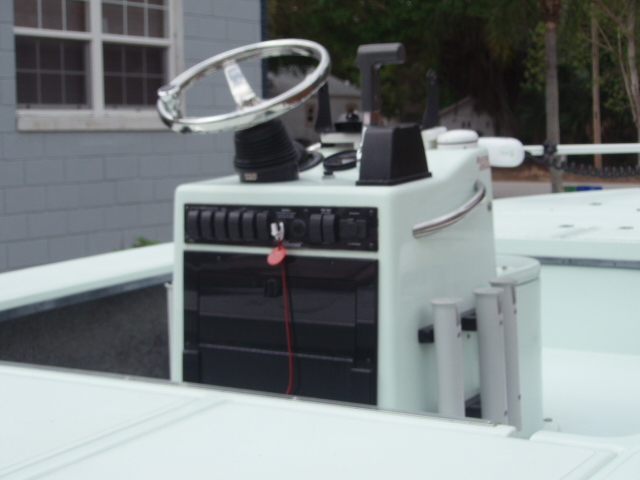 Fish Finaddict,not really sure about top speed,i don't have a speedo,only have a tach. Sweet job. Where did you get the switch panel? I like that better than my toggles. If you or a friend has a portable or handheld GPS you could check you speed at the various numbers. I carry a Garmin Etrex Legend that I have had for about five years as a back up for the on board. It also, keeps tracks and weigh points. You can pick one up on e-bay for $100.00 now. It has barometric pressure, tide tables, moon tables, alot of things my Lowrance doesn't. Plus I can keep it in a pocket or belt holster and mark weigh point with out having to go to the helm. Oldsalt i believe that is the original(1993) swithch panel from Maverick,thanks for the tip i was wondering about handheld gps,i do have one mounted to console too. It's hard to believe that switch panel is 18 years old. Did it always stay in a garage? Looks great. Mine is 9 years newer and isn't even close to that nice. Oldsalt you are correct,it has been stored for the most part indoors,i'll tell you the truth most people think this boat is about 5 years old.The boat has had a meticulous maintaince plan,that i have continued from previous owner. I thought it was a restored boat. Fabulous condition. You are very lucky, keep her covered. I need to get a console cover. Where do you fish? I see alot of vey big trees in the back ground, not typical of Florida. 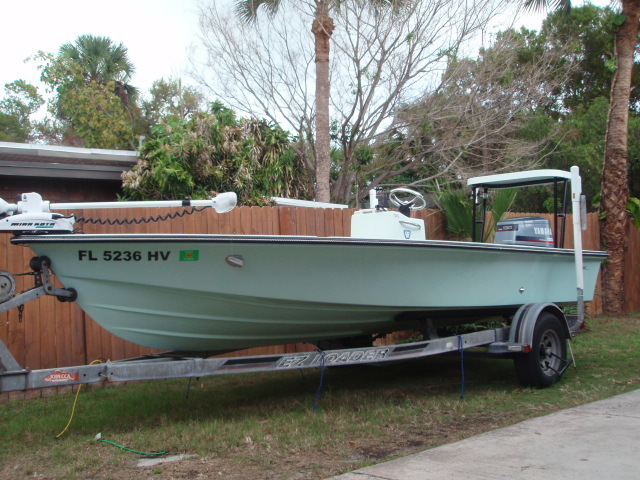 Thanks again,it's usually garaged & covered now,it's a true survivor that's for sure.Live in Ft Pierce,Fl and fish mostly in the Indian River from Jensen Beach to Sebastian,but have had some trips to Jupiter & Hobe Sound area too!